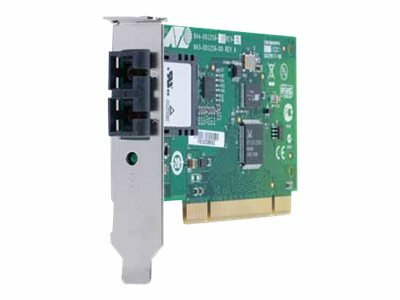 The Allied Telesis AT-2701FXA 100 Mbps network interface card features a small footprint and a low-profile option, making it a perfect choice for PCs equipped with small desktop solutions. Resistant to signal degradation, snooping and interference, the AT-2701FXA is the ideal solution for networks requiring protection from electrical interference and hackers. The AT-2701FXA features a full line of card assistant software. The AT2701FXA meets the requirements of most fiber installations.